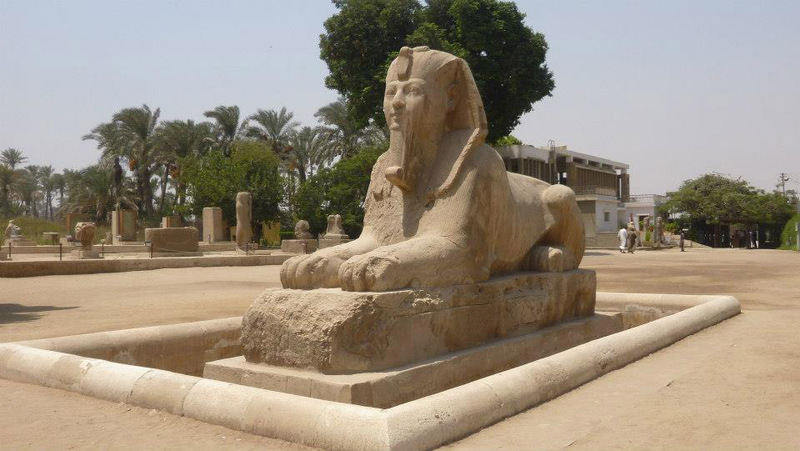 Memphis was founded by the king Menes who also unified Egypt and established the 1st Dynasty around 3100 BC. 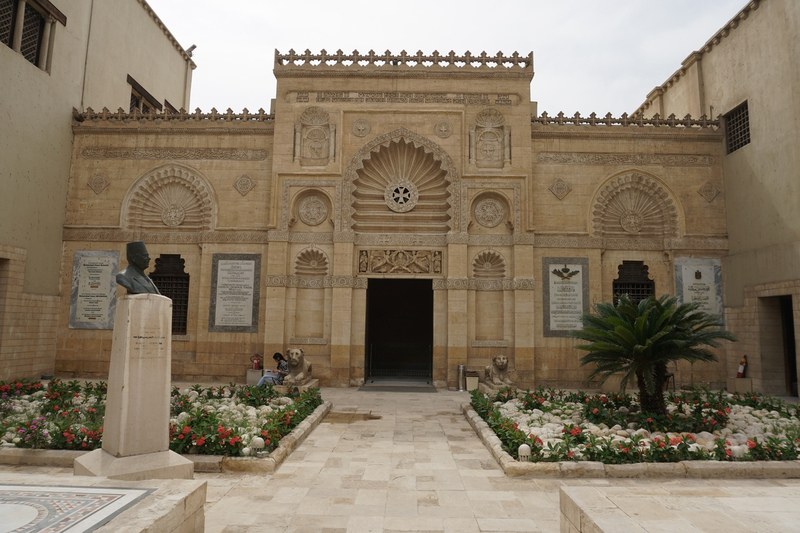 The city became the 1st capital of Egypt and continued being it for over 1000 years. The city was an important religious and commercial center throughout the three thousand years of the country’s ancient history as well as the cult of the creator god Ptah. The ruins of the city lay on the west bank of the Nile opposite Saqqara, between the two lands of upper and lower Egypt. Today the archaeological area of Memphis is situated at the village of Mit-Rahina about 2 km east of Saqqara complex and contains many curious monuments. When you drive up to the entrance of the site, you are actually at a portion of the southern edge of the enclosure of the Ptah temple. The giant mud brick enclosure wall surrounding the temple grounds is gone, and so is the great temple. There is not much to see there now, but the remains still worth a visit. As you enter into a garden area you come across statuary found in various parts of Memphis set up as an outdoor museum. At the far end of the garden you will find a colossal statue of Ramses II, which originally belonged to King Senusret I of Middle Kingdom, but Ramses II had his name carved on it, appropriating the statue to himself. Walking towards this colossal statue you will pass a limestone sphinx with a face that resembles that of the early rulers of the Eighteen Dynasty. Although no inscription is visible on this statue, it is possibly belongs to Queen Hatshepsut when she ruled as king. The statue of the Sphinx was discovered in 1912 by English archaeologist Petrie and is the largest alabaster statue ever found. It weighs 80 tons. Remains of Hathor temple and temple of Ptah can also be seen. But the main attraction of this area is a Colossal Statue of Ramses II which was discovered by Giovanni Belzoni in 1820. Now the statue is exhibited in a specially constructed museum. The statue is of hard fine quality limestone, 12.8 meters tall with the royal cartouche bearing the name of Ramses. The cartouche is carved on the right shoulder of the statue as well as on its chest and girdle.